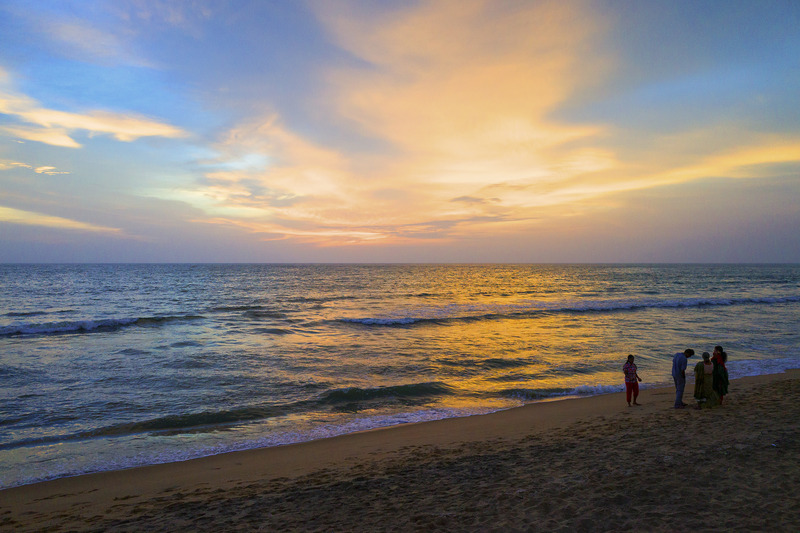 Cherai Beach Resort famous for its attractive location & offers catchy facilities for honeymooncouples in Kerala.Cherai Beach is flaunted as one of the excellent beach in the Kerala. It's a picturesque which looks more beautiful with green groves and paddy field. Visit Munnar Hill Station and enjoy the cool weather and beautiful landscape. Munnar has Tea Gardens and there are Lakes, waterfalls, boating facilities and places for trekking close to Munnar. This hill station is ideal for newly wed couples.Munnar itself is a cool and honey rich destination for honeymooners. Alleppey is also a great place for spending honeymoon. Here there are many houseboats and a cruise in a houseboat through the backwaters of Alleppey will be a wonderful experience. Experience the fresh air, verdant greenery and a rich culture of Thekkady on your honeymoon. We will receive you on your arrival at the Kochi Airport or railway station and drive you to Cherai.Cherai is 33.9 km away from Kochi and that drive will take 1 hour 20 minutes.Cherai beach is the famous beach destination of Cochin. Check into a hotel near the beach. Apart from sightseeing activities its a place for rest and relaxation with calm beach front. Enjoy the palm fringed beach and its sunset there in the evening. Overnight stay at the hotel. Including Candle light dinner. Have a breakfast from the hotel and proceed to start the second stage of your tour, which takes you to Munnar, a hill station well known for its green rolling valleys, tea gardens and hill ranges.Munnar is 130.7km away from Cherai and that drive will take 4 hours . The road to Munnar will take you through picturesque landscape, green forests, singing brooks and tea gardens.In Munnar, you can go for a nature walk or explore the hill station leisurely. On the way you can visit Cheeyappara water falls,Valara waterfalls and Kallar view point . Check in to the Hotel / Resort and relax . In Munnar,you can go for a nature walk or explore the hill station leisurely.Over night stay at the hotel. Including flower bed and candle light dinner. After breakfast proceed for Munnar sight seeing . Major sight seing places are Eravikulam national park ( Rajamala ) , Mattuppetty dam , Echo point , Honey bee tree , Kundala dam , Tea Museum , Blossom Park and Photo Point. Boating in the lake and Horse driving in Kundala Dam area are optional on extra cost .Overnight in the hotel. After Breakfast check out and proceed to Thekkady after breakfast in the morning ( as early as possible ). Thekkady is 105 km away from Munnar and may take 3.5 hours for comfort drive. Periyar wild life sanctury is the main atraction over here and and the boating in Periyar lake is the only way to visit the sanctury. There are 5 trips for this boating starting from 7.30 in the morning till 3.30 in the morning in correct intervels. Kerala forst departemnt and tourism departmet conducting this boating and will take 90 minutes . During this trip you can see wild elephant, boar, deer, the great Indian tiger and more animals. Tickets for boating is available in online and is available from local boating counter in the boating point. Enjoy the evening with different cultural and and martial shows ( optional ) on extra cost Overnight in the hotel. After early breakfast chek out at 8 am and proceed to Alappey . which is famous for house boats in backwaters ( Vembanadu lake ) Alappey is almost 160 km away fom Thekkady and will take 4 to 5 hours comfort drive On arrival check in to house boat (normal check in time is 12 noon), and will make cruise till 5.30 in the evening. After that it will anchor in a safe place where Welcome drinks , lunch , evening tea snacks and dinner wil be served from houseboat . Houseboats will be exclusively for you and there will be 3 staffs in boat to assist you ( Senoir driver , Driver and Cook ) In deluxe a/c houseboats, ac will be operated from 9 pm to 6 am only.Over night stay in the houseboat.